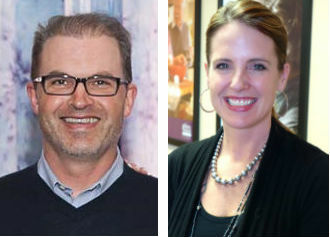 We are your trusted provider of comprehensive non-medical home health care services for seniors living in Southeastern and South Central Minnesota. We can assist the senior in your life with companionship, homemaker tasks, hands on personal care and many other home care services. We place a high priority on matching our CAREGivers with the client. We believe that relationships based on trust must be established. The bond that develops is one that fosters independence, promotes well-being, and supports the senior's needs with dignity. We are syour eyes and your ears. And we do it all with a heart. When you're ready for help, our caring staff is on call 24 hours per day, 7 days per week to quickly answer your questions and accommodate your senior service needs. We will offer a free in-home consultation with you and your loved ones to arrange for the most appropriate care...and with over 200+ CAREGivers on staff, we are sure to find a great match! With 25 years of experience, Joyce has both the knowledge and instinct that allows her to accurately assess client's needs and train competent and empathetic CAREGivers. Personal care clients and their families meet with Joyce or another client care coordinator prior to the start of personal care services. Her caring personality enables clients to feel comfortable speaking with her about sensitive issues. 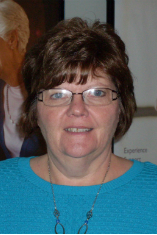 Joyce oversees the training and competency of all CAREGivers who provide personal care. Karen has over 20 years of experience in the home care industry. Working closely with area medical and senior care facilities, she informs and educates health care providers on the issues that are important to seniors. Karen is often found in the local community speaking about senior related issues and the many ways we are able to serve our local seniors. A Chamber of Commerce Ambassador, Karen also works directly with other businesses and organizations to promote our goodwill efforts in such things as the Walk to End Alzheimer's and Be a Santa to a Senior (BASTAS) program. Karen has a contagious laugh, and her love for seniors comes shining through when you speak with her. 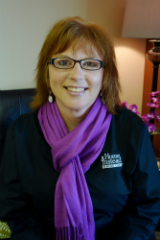 Kim has over 10 years of experience in the home care industry. 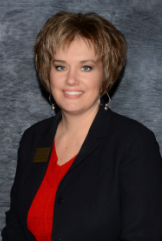 She has a passion for meeting with new clients and developing an individual care plan to meet their needs. Her goals are to keep seniors as independent as possible and allow them to control and make decisions that affect their own daily lives. Kim's patience and warm demeanor make her easy to work with and she always does what's in the best interest of the clients she serves. Betsy is also responsible for overseeing client care issues. She works with family members and clients to ensure the utmost satisfaction. Betsy is also directly responsible for managing our Quality Assurance Program, conducting in-person assessments and phone surveys with clients. Betsy's friendly personality is an instant hit with clients and their families. 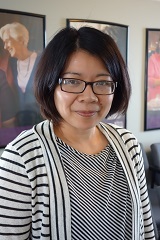 Merlinda, a former CAREGiver, is responsible for overseeing client service inquiries and client care issues. She ensures that each of our clients receive the highest quality of care possible. Merlinda has a "can-do" attitude, big heart and quickly builds rapport with clients and their families. 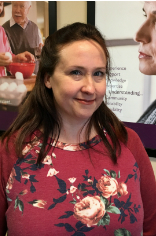 In charge of the hiring process, Melissa screens all potential CAREGivers, conducts interviews, oversees background and reference checks, makes employment decisions, and provides new employee orientation and follow-up training. Melissa has amazing insight when it comes to hiring compassionate, trustworthy individuals, and understanding the needs of each CAREGiver. She is approachable and friendly with everyone she meets. 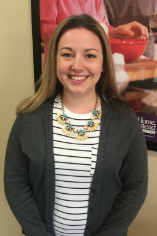 Also in charge of the hiring process, Megan screens all potential CAREGivers, conducts interviews, oversees background and reference checks, makes employment decisions, and provides new employee orientation and follow-up training. 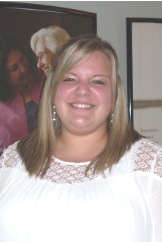 Megan is always on the lookout for quality people with compassion and the proper attitude to be an excellent CAREGiver. She also works closely with the other members of the team to assure that clients and CAREGivers alike have a positive experience. Ashlynn works diligently to select a cohesive team of CAREGivers for each client and ensure the service schedule of each client meets their individual needs. Thanks to her strong organizational skills, she manages schedule changes in a quick and efficient way which is a much needed attribute in the ever changing world of a Staffing Coordinator. Ashlynn maintains a special relationship with our CAREGivers and the families we serve. Erin is responsible for creating lasting relationships between clients and their CAREGivers. Her main focus is the coordination of scheduling service for clients with CAREGivers, to provide the highest quality of service to match our client’s needs. She is a nurturing individual who always makes it a priority to provide quality service and outstanding client care.